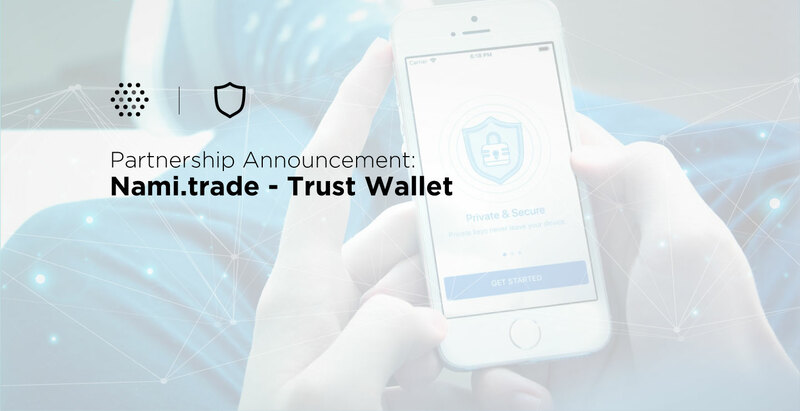 Maybe we could re-phrase it a bit: To our great joy, it seems like the good news are drawn to the users of nami.trade, recently, the digital wallet Trust has integrated the nami.trade dApp on the Trust’s home page. The users can now experience the fast, safe and efficient trading with just a touch. Trust Wallet can be used worldwide on iOS and Android devices and have a huge customer base in the UK, US and Russia. It supports all types of tokens and assets using ERC20 smart contracts. When using Trust, traders can be sure of a high-security level on which developers are working hard to maintain. The private keys of the client will not be stored on Trust’s servers, and with multi-layer security system, users will not have to worry about the risk of losing their accounts. In addition, the personal information of the customer will always be confidential. Trust Wallet uses open source for the iOS devices and published source code on GitHub. In 2017, Stateful Ltd performed the security audit on both iOS and Android applications, and Trust was qualified for private key security, code quality and personal information privacy. In February, Trust switched the Android application to closed code source due to security issues and the sole purpose was to protect the users. In addition, the Web3 Browser feature allows users to interact directly with the dApp applications right on the Trust. However, according to internal conversation with Nami, Viktor Radchenko, CEO from Trust said list of Dapps on iOS will be closed temporarily after his consideration after taking Apple’s viewpoint into consideration. iOS users can still search nami.trade manually and bookmark it. Trust will update more information later for iOS users. As mentioned in nami.today’s previous article, nami.trade’s trading activity is based on blockchain technology which helps to increase security and privacy for users. In addition, investors are not subject to fees such as spread, swap and commission, so they can receive a return up to 95%. When it comes to traditional trading platforms, traders have to pay several fees so the maximum profit is only up to 75%. Nami.trade supports multi-platform trading which means users can trade anywhere: on the computers, mobile phones or using the virtual assistant – Nami Assistant – and now also through the Trust Wallet.